I've been working on this micro macrame pattern for quite a while now, trying to get it just right and I think I finally nailed it. This design reminds me of leaves falling from the trees in autumn, so I'm calling it (what else?) 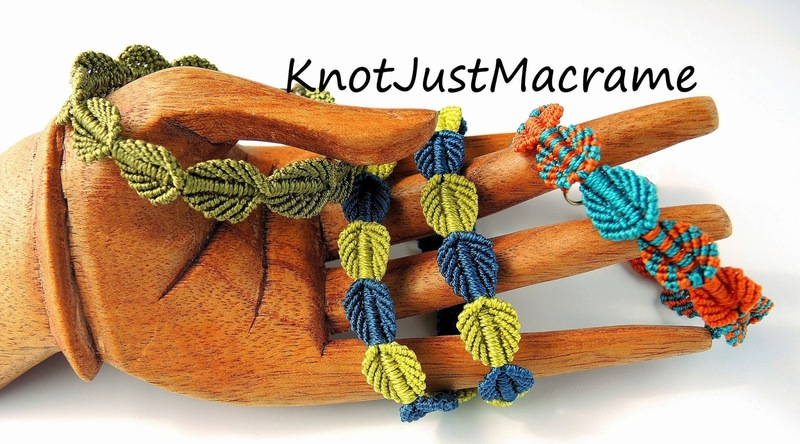 Falling Leaves Micro Macrame Bracelet. The pattern is a fun one. I used a different way of adding cords than my "usual" (whatever that is!) and a method of gathering and dropping cords to increase and decrease the width of the knotting and form the leaf shape. The leaves even cup just a little, which I really like. I cover how to make both of those variations in the class also, so you'll have loads of options. 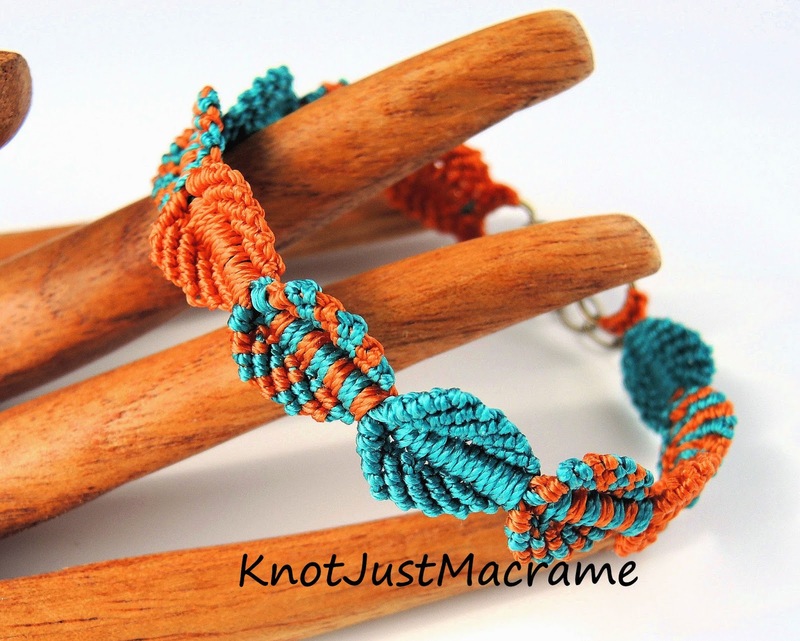 I do show how to tie the knots in the class, but some macrame experience would definitely be preferable. The class has 6 videos and over 60 still photos with written instructions as well as narration. Once you purchase the class, you have unlimited access to it, so you can watch it as many times as you like, and you can pause and replay anything you like. You can also print the handout, which is made up of screenshots of the entire class. You will find this class, along with my other online classes, at CraftArtEdu.com. I know I've said it before, but I haven't chanced my mind - the folks at CraftArtEdu.com are the best. They have a money back guarantee. If you aren't satisfied, they will give you your money back. Period. If you have questions, you will get a response from a real live person. I'm proud to be associated with them. To celebrate my new class, the fine folks over there have an introductory price through Friday (July 18, 2014). And just to make it extra special festive, they've put all of my other classes on sale, too - up to 33% off!!! You can see all of the classes and the prices here. If you take the class, be sure to stop back by and let me know how you liked it! Great tutorial and I can hardly wait to make it. I would love to get your tutorial for the falling leaves bracelet but, I see that the CraftArtEdu website is shutting down and no longer sells your tutorial. I just got it converted and listed as a tutorial here: https://www.etsy.com/listing/553178547/micro-macrame-tutorial-falling-leaves?ref=pr_shop Thanks for asking! !